Quality, useful, and engaging content is the foundation of a marketing strategy. However, content is much more than just words on a page. Humans are visual learners by nature—and we crave visual, interactive content in reality and online. 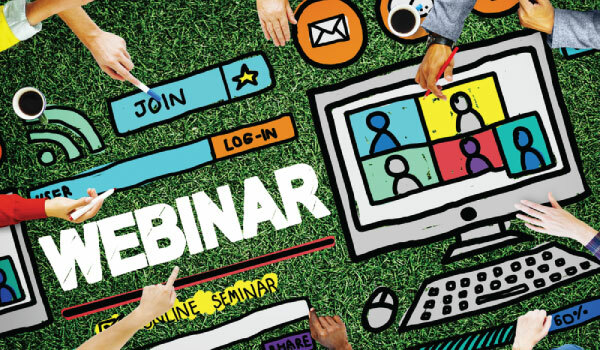 As a result, in today’s digital world, marketers are using webinars to connect and engage with their target audiences. Additionally, webinars create a great opportunity for co-creation and collaboration as well as content repurposing. In fact, 66 percent of B2B marketers said webinars are one of the most effective content marketing strategies around, according to as recent report from Content Marketing Institute. In addition, 51 percent of marketers said visual content will be a top priority for their campaigns in 2016. A webinar is a live meeting, presentation, discussion, educational session, or demonstration that takes place online. As a content marketing technique, webinars use various forms of content such as blogs, audio interviews, and video to promote and execute the event. In addition, the webinar as a whole can be saved and archived for future viewing. Webinars aim to provide helpful, interesting, or compelling content and instruction, and ultimately encourage participants to take action (e.g. buy a product, sign up for a newsletter, become a member, etc.) on what they learned. They can also be great ways to build recognition as a thought leader, which some consider to be the ultimate content marketing tactic. Webinars are often confused with virtual conferences—and while they’re both online meeting events—virtual conferences are far more elaborate affairs that attempt to mimic a real-world event online. Webinars generally focus on just one topic and are much shorter (generally running an hour to two hours) than virtual events. Businesses find they’re able to attract customers earlier in the buying cycle, as well as target various stages throughout the buying cycle. Excitement is created for a topic, especially when a well-known expert delivers the presentation. There are a variety of content repurposing options such as live blogging the event or using participant questions to create new blog posts. Since webinars require registration, they can serve as an excellent lead generation tool where content can be provided as the lead is nurtured afterwards. Webinars can be archived to the web and will attract views indefinitely. Unique skills and technology such as a registration platform that ties into your CRM or a presentation hosting platform are needed to produce an event. Archived webinars can become outdated, and need to be monitored and removed when appropriate. Like all online events, the general low cost of entry makes it easier for people to skip the event or bow out early. Signing up for a webinar is much like scheduling an appointment. Your audience can make room for the webinar in their schedule ahead of time, making it much more likely for them to give undivided attention and participate. A live webinar creates more of a one-to-one engagement than many other types of content and encourages participants to ask questions and interact on the spot. Revered as a leading healthcare technology company, McKesson provides a series of educational webinars for many of their different business units. For the Medical-Surgical division, users can register for upcoming webinars or access their library of previously aired webinars on a whole host of topics that cover everything from reimbursement to preventing infection in patients. ASDC is a global network of educators and advocates that develops programs and services to help educators continually improve how they support their students. Through webinars, the organization offers numerous professional development opportunities to support their mission, while also encouraging new membership and more participation from current members. Yes. Even the IRS offers webinars for individuals, businesses, and tax professionals. Choose a topic and headline that is searchable. SEO best practices should always be part of your content marketing efforts, and you want to entice your target audience. Create a list of content marketing tactics you’ll be using. Your list should include tactics such as emails, social messaging, blogs, video, and press releases to promote the event, run the event, and repurpose content after the event. Get organized. Create an agenda, make sure all your visuals are ready to go, confirm your platform is working, and communicate regularly with any speakers you’ve lined up. Practice makes perfect. Schedule a dry run with any presenters or if you’re doing the talking, set aside some time to go through your full presentation. Promote, Promote Promote. Promotion is important to any event you put on, but digital events don’t require the commitment of real-world events. Use that list of tactics you’ve created to get the word out and keep your event top of mind. People are visual by nature. So, it’s no wonder that interactive, visual content like webinars is a powerful tool for brands. If you’re not afraid of getting your hands dirty with some of the technical demands, consider weaving webinars into your content marketing strategy. The demand for visual content is only getting stronger, so brands need to consider other content marketing solutions to stay competitive and achieve their goals.